Since September 2016, the authorities – as part of the European Market Infrastructure Regulation (EMIR) – have been slowly phasing in initial margining requirements for users of bilateral OTCs. 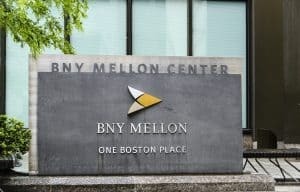 “The latest batch of clients being impacted by the rules are taking action to comply far sooner than we have seen in previous years,” said Dominick Falco, head of collateral segregation at BNY Mellon. “During the first three phases of initial margining for bilateral OTC derivatives, clients gave us collateral management mandates in and around Q1 of the compliance year, said Dominick Falco, head of collateral segregation at BNY Mellon. “Ahead of phase four in September 2019, clients were already awarding us mandates in Q3 and Q4 of 2018. Even now, we are receiving RFPs from customers preparing for phase five in 2020,” he added. Despite the proactivity across the market, industry bodies including the International Swaps and Derivatives Association (ISDA) and the Securities Industry and Financial Markets Association (SIFMA) have called for the gross notional threshold amount for initial margin in phase five to be increased from €8 billion to €100 billion. ISDA has repeatedly argued that such a low threshold will bring into scope counterparties which pose no systemic risk. Nonetheless, fears about a collateral squeeze as a result of the lowering initial margin thresholds have broadly dissipated, with experts expressing confidence that the market will be able to withstand the increased demand from financial institutions looking to post quality assets as initial margin in 2019 and 2020. Not only are service providers offering clients an extensive range of effective solutions such as triparty, but financial institutions are posting different types of collateral beyond the traditional AAA government bonds, such as money market funds, a point made by Falco. The post Preparation already underway for next rounds of initial margin rules appeared first on The TRADE.